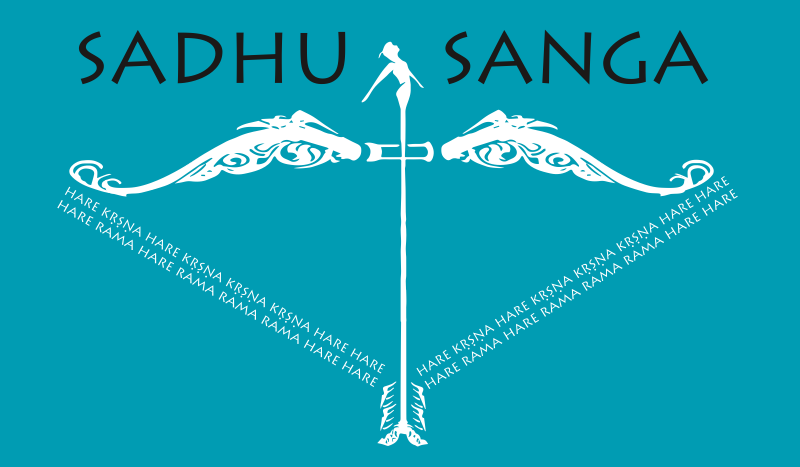 SADHU SANGA 2019 - MAY 24th to 27th 2019! Registration Opens at 2PM PST / 5 PM EST Today! Registration link will be availble here at that time. Welcome to Sadhu Sanga Kirtan Retreat 2019. To serve you better, we require that every attendee registers – including infants. By registering, you will receive 3 days of onsite accommodation, 9 meals of prasadam (sanctified food), access to all the kirtans and classes — all these at a heavily subsidized fee of just $210 per person. Last year, we ran out of all 1000 onsite spots within the first hour of registration. So, please register immediately to guarantee a convenient onsite spot for this wonderful opportunity to immerse yourself in the nectar of the holy names! The retreat center has spacious rooms onsite, overlooking the beautiful scenery of the majestic Blue Ridge Mountains. Each room has four twin beds and a private bathroom. Each room will be shared by four adults (6 years or older). Your room will have sheets, blankets, a towel and soap. Please bring any other toiletries that you need. The rooms are all within walking distance from the kirtan and prasadam halls. We will also be running campus shuttles every 15 minutes for devotees to commute easily. The check-in is at 12 noon on Friday, May 24, 2019 and check-out is at 12 noon on Monday, May 27, 2019. Sorry, we’ve exceeded the capacity that we had planned for this year’s retreat. Please click the button below to add yourself to the waiting list for offsite accomodation. We’ll confirm your registration if any spots open up due to cancellations. If we are unable to provide you confirmation, your registration amount will be refunded. Also, there is no need to email us separately. We will notify you as soon as there are cancellations in our offsite spots. Welcome to Sadhu Sanga Kirtan Retreat 2019. To serve you better, we require that every attendee registers – including infants. Currently we only have offsite accommodation located at a 15-min drive from the retreat center. By registering, you will receive 3 days of offsite accommodation, 9 meals of prasadam (sanctified food), access to all the kirtans and classes — all these at a subsidized fee of just $210 per person. Last year, we ran out of all onsite and offsite spots. So, please register immediately to guarantee your spot for this wonderful opportunity to immerse yourself in the nectar of the holy names! Due to unprecedented enthusiasm from devotees all over the country, all the 1000 beds in our onsite accommodation were sold out within the first 8 minutes of opening our registration. So we have booked most of the hotels, lodges, cottages, cabins that are available nearby to accommodate another 1000 devotees. These offsite accommodation places are at a 15-20 minute scenic drive from the retreat center and vary widely in amenities including standard queen/double beds with private bath. We’ll allocate rooms/beds based on the size of the registered group (e.g. four persons registering together will be given preference for a room with two queen beds) and on a first-come first-served basis. As we have negotiated discounted group rates due to bulk booking, we’re able to offer the entire retreat for an offsite registration fee of just $210 per person. This includes accommodation for 3 nights, 9 meals of prasadam (sanctified food), access to all the kirtans and classes on all 4 days and parking. Kids aged five or less can attend free of charge as long as they share a bed with one of their parents. Are you a disciple of Srila Prabhupada? We would like to honor all of Srila Prabhupada’s disciples this year by making this a free retreat. For practical planning purposes, we still require you to pay the registration fees now, but we will be happy to reimburse your registration fee at the time of your check-in at the retreat.